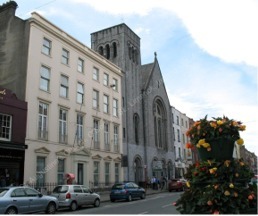 The Augustinian community at St. Augustine’s Roman Catholic Church in O’Connell St., Limerick, Ireland are delighted to welcome you in person to our church in the heart of the city or to watch online the live streaming video service of our main Masses and events. In recent years the Augustinians in Limerick have been adapting to a changing pastoral landscape and a radically different Ireland. Beginning in 1997 a survey of needs and ministries was conducted with regular and transient congregations. The interior of the church was re-designed and re-furbished in response to the findings of the survey. Division of the church into a worship area and a hospitality space by an ornate screen mirroring the architectural features of the church. Millennium glass doors at the entrance to the worship area. Adoration Chapel and Oasis of Peace in a noisy city centre! Entrance beside the Shrine of St. Jude (via the glass doors and left). 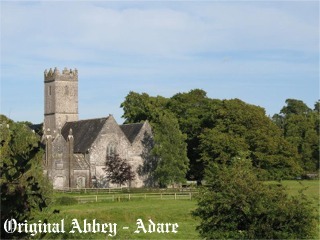 It was opened by Bishop Donal Murray on 24th May, 1998. Restored shrine of St. Nicholas of Tolentine, an Augustinian Saint, a focal point for memory and prayer for the dead. The Abbey Bookshop and gift shop on the left inside the entrance doors. A Pastoral Care Area on the right of the hospitality space, with counseling and confession rooms. Peace Garden: Beside the Bookshop- a place of peace, relaxation and personal reflection. It was constructed in 1997 to commemorate the Good Friday Agreement, a historic breakthrough in the peace process, in the North of Ireland. Hospitality space for receptions, displays and meetings. Within the worship space there are shrines dedicated to St. Jude, St. Therése, St. Nicholas, St. Anthony, St. Joseph, the Sacred Heart, Our Lady of Good Counsel, St. Augustine with St. Monica, St. Rita of Cascia and St. Padre Pio. If you would like more information about our Church and Augustinian Community in Limerick or if you feel you have a calling to serve God as an Augustinian, please submit the contact form and we will contact you with more details.